Monash Science has received a major win in NHMRC funding with $1,203,306 allocated to research projects to help tackle antibiotic resistance, and learn more about the relationship between diet and cancer. The Government announced that more than $500 million would be invested in-world-leading medical projects through the National Health and Medical Research Council (NHMRC). Monash attracted the most funding nationally bringing this year’s total to almost $105 million in federal grants for medical and health research projects. 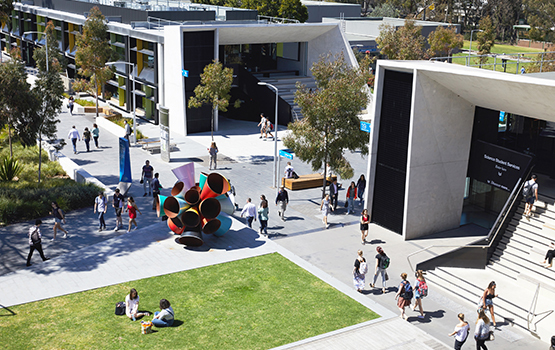 For the Faculty of Science, $579,920 was awarded to Dr Jeremy Barr, and $623, 386 to Dr Linda Parsons, both from the Monash School of Biological Sciences. Dr Parson’s three-year project titled ‘Deciphering the role of SIK3 in development and disease’ will provide novel insights into how tissues adapt to nutrient levels during both normal growth and cancer progression. “These studies may provide novel diagnostic and therapeutic avenues to combat human diseases, including cancer and obesity,” Dr Parsons said. “We are currently faced with an epidemic of patients with obesity and type II diabetes,” she said. “Crucially, these individuals face a 3-5% increased risk of breast or colon cancer1,2. “To understand why patients with obesity and type II diabetes face increased cancer risks requires us to understand how cells sense nutrients in the diet and how these nutrients affect cancer pathways." Dr Barr’s three-year project titled ‘Bacteriophage therapy increases antibiotic sensitivities in multiply antibiotic resistant Acinetobacter baumannii will investigate treatment options for antibiotic resistance. “The rapid emergence of antibiotic resistant bacteria is one of the most serious global health threats,” said Dr Barr. “We are approaching a post-antibiotic era where common infections and minor injuries can kill,” he said. Acinetobacter baumannii has emerged as one of the most prominent and difficult to treat, nosocomial pathogens for healthcare institutions. ”This pathogen is responsible for a vast array of infections, of which blood stream and ventilator associated pneumonia are the most common,” Dr Barr said. “In this research we will build upon our recently reported case study–where a patient with a disseminated, multiply antibiotic resistant, A. baumannii infection was successfully treated using bacteriophage therapy – to describe the first molecular characterisation of phage infectivity, phage-resistance mechanisms and antibiotic re-sensitisation of A. baumannii. In a separate but related development newly appointed School of Biological Sciences Senior Lecturer Dr Francine Marques, who heads the Hypertension Research Group has received funding for a project on high blood pressure and gut microbiota. Dr Marques, who has joined Monash from the Baker Heart & Diabetes Institute received $806,472.80 together with her Institute colleague Professor David Kaye. Monash Faculty of Science Dean Professor Jordan Nash said the Faculty was delighted with the NHMRC funding announcement. “Science has a key role to play in addressing global health and medical issues, from antibiotic resistance to the relationship between diet and disease, and so much more,” he said.